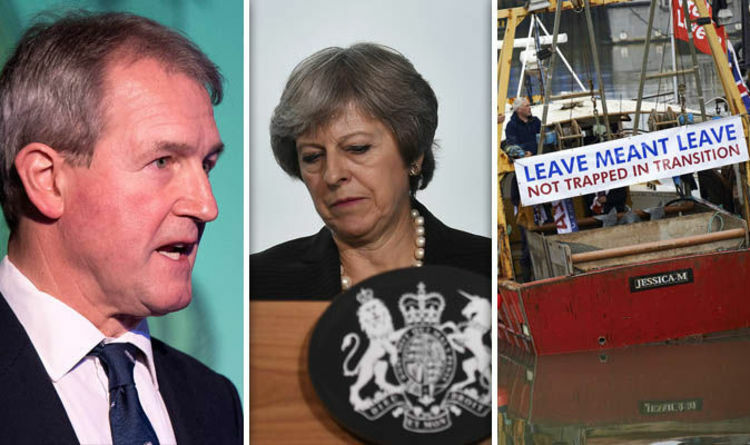 Owen Paterson, Tory MP for North Shropshire, urged the government not to cave in during the Brexit negotiations and leave under the World Trade Organisation (WTO) rules if it wants to save the UK’s fishing industry. The former Environment, Food and Rural Affairs Secretary highlighted how time sensitive it is for the UK to immediately leave the CFP. He said: “The disastrous Chequers White Paper advocates a lengthy transition phase under European rules which would prove fatal. According to the Tory MP, the EU use the extra time given by the Chequers plan to enforce this ban as an international law. This would force a country unable to catch all the resources in its waters to give them to its neighbours. 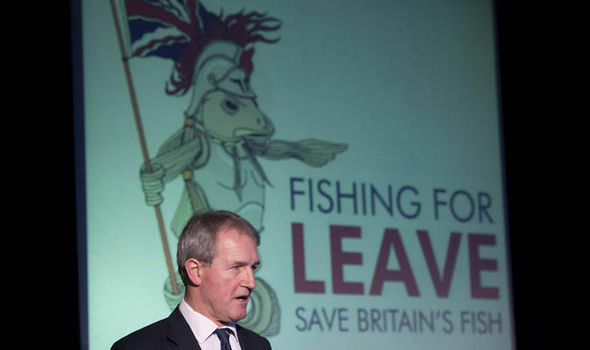 To make sure British fishermen will be truly free after March 2019, Mr Paterson said the government should adopt a more aggressive strategy against Brussels. But, he continued, it won’t be enough for Downing Street to just leave the bloc under WTO terms. He said: “National control is no panacea if we replicate the same failed policies in London instead of Brussels. 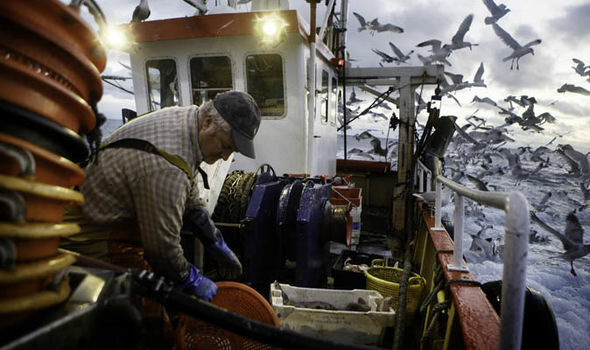 After Brexit, the UK will have to adopt a new system, which will take the place of the CFP, which currently force fishermen to discard approximately one million tonnes of edible fish each year. Mr Paterson believes the best system the UK should adopt is the “refined effort control”. He explained: “When we abandon the CFP, we will be free to move away from the fixed-quota system to one based on the amount of time a vessel can spend at sea. “Here, fisherman can keep, land and record all catches in exchange for a limit on fishing time at sea. This system would replace fixed quotas with “Flexible Catch Compositions” (FCC). Under the FCC, fishermen would be forced to fish a sustainable mixture of species if they didn’t want to incur in a penalty slashing the hours their vessels would be allowed at sea. Mr Paterson continued: “There is thus no financial incentive to chase high-value or vulnerable species, since this would lose valuable fishing time. 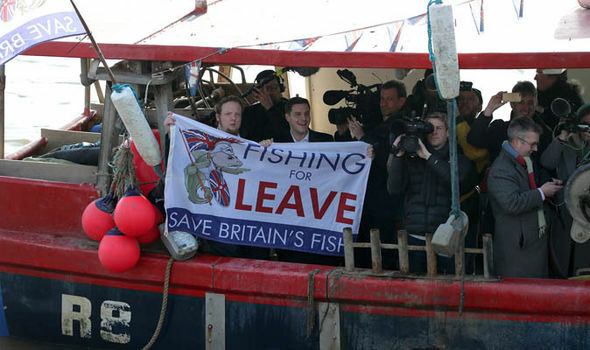 The FCC has already been supported by Fishing For Leave, the grassroots organisation gathering Brexit-backing British fishermen. In an analysis of this system published on their website, they said: “Effort Control accepts the reality that vessels will unavoidably catch a mix of species that is impossible to determine, that species mixture fluctuates and that it is impossible to accurately micro-manage each individual species in a dynamic mixed fishery.